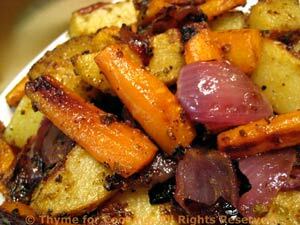 Potatoes and Carrots, roasted together, quick, easy recipe. In a medium bowl mix oil and vinegar. Add vegetables and toss well to coat.